Hiring a personal injury lawyer can be a stressful experience, but it might not do you any good to simply hire the first one you come across. There are over one million licensed attorneys in the United States, so you’ll have plenty to choose from but hiring the right one is essential. After narrowing down the list by geographic area to a select few attorneys, here are a few questions you should ask them to see how suitable they are for handling your case. How much experience do you have handling cases like these? One of the first questions you should ask a personal injury attorney is how much experience he or she has handling cases like yours. 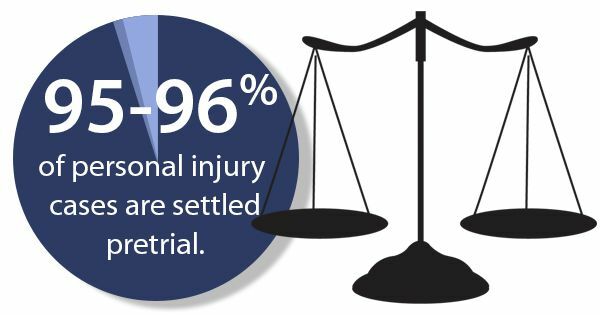 There are a number of different areas of personal injury law, like car accidents, slip and falls, medical malpractice, and product liability. Finding a lawyer who has experience with the area of personal injury you need counsel and representation for is essential for the positive outcome of your case. How do you plan to handle my case? If you have found a qualified personal injury attorney with the right kind of experience, the next question you should ask is how they plan to handle your case. He or she may have a precedent for handling similar cases, but each one is different. You are the one who the result of the case will affect the most, so make sure you have a clear idea of what a potential lawyer is going to do to help you win and how he or she plans to represent you in court and negotiate with insurance companies. What do you see as the likely outcome of my case? Another essential question to ask a potential personal injury attorney is what he or she sees as the likely outcome of your case. He or she should be able to be honest with you based on his or her experience and their knowledge of the details surrounding your case. If their expectations align with yours (and yours are based in reasonable expectation), you may have found a good fit. This is by no means an exhaustive list, but these are three of the most important questions you should ask potential personal injury lawyers in an interview to gauge their suitability for your case. In addition to these questions, it’s worth paying attention to how well organized potential lawyers are and how well you are able to communicate with them, since both of these things could have dramatic effects on your case.